This charming colonial town is a museum in itself, with its traditional Canarian atmosphere, flower-filled plazas and more Castilian mansions than the rest of the island put together. Its old town has been declared to be of National Historic-Artistic Interest. Walking down the cobblestone streets by the ancient mansions, visitors can still smell the prestigious past of wealthy residents lingering in the air. La Orotava also serves as a gateway to the Teide National Park with its 3,718-metre volcano. It’s pristine and secluded beaches are perfect visitors looking to soak up some sun and get away from the tourist-congested spots. The town’s customs and traditions are also something that one would find on the rest of the Canary Islands. La Orotava is home to the annual feast of Corpus Christi, when the main streets and squares are lined with carpets of sand and flowers. La Orotava has a small stretch of coastline compared to the rest of Tenerife. Even so, the few notable beaches are as immaculate as they can be. Visitors looking for a break from the congested town center are delighted to spend time in these secluded spots. The journey to Playa El Bollullo takes only a little time from the town center. Visitors who brave the narrow roads and pathways are rewarded with a gem in a perfectly secluded spot. This gorgeous unspoiled beach features black fine-grained sands and high waves. Its surrounding dramatic cliffs only add up to the breathtaking sublime scenery. Situated on the cliffs is a bohemian-style hut cafe, a great place to sit and watch the scenery unfold. The cafe serves delicious bocadillos and a few tapa dishes. 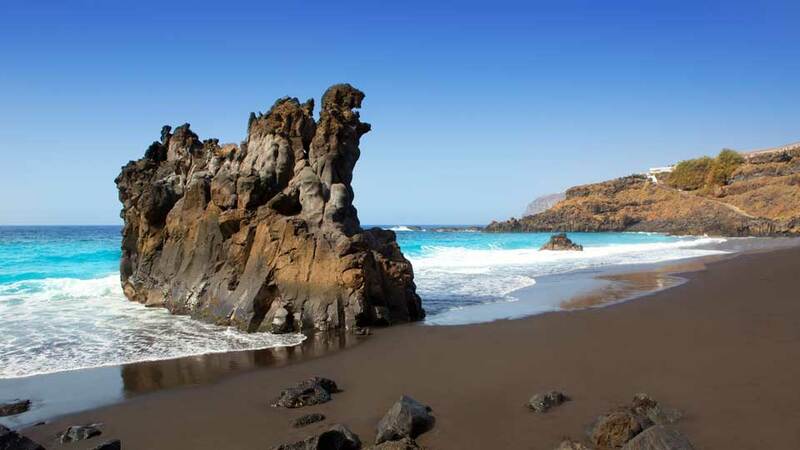 Like El Bollullo, this beach boasts of black volcanic sands and beautiful natural landscape. This hidden coast has no amenities, and the waves are a bit strong for those looking to have a relaxing dip. Nevertheless, Playa El Ancon is a perfect place to catch a tan without having to share with loads of other tourists. Located right between El Bollullo and El Ancon is Playa Los Patos. This beach is isolated and cannot be easily accessed. Visitors have to walk at least 20 minutes from the car park and endure a difficult, uneven trail before reaching the bathing area. This bygone, wild beach is a natural wonder with its volcanic sand and clean waters. Because of its remoteness, Playa de Los Patos is known as one of the best nudist beaches in Tenerife. La Orotava is a town that has a long and fascinating history. It’s easy to learn about the town stories through its well-preserved stately houses in Calle San Francisco. 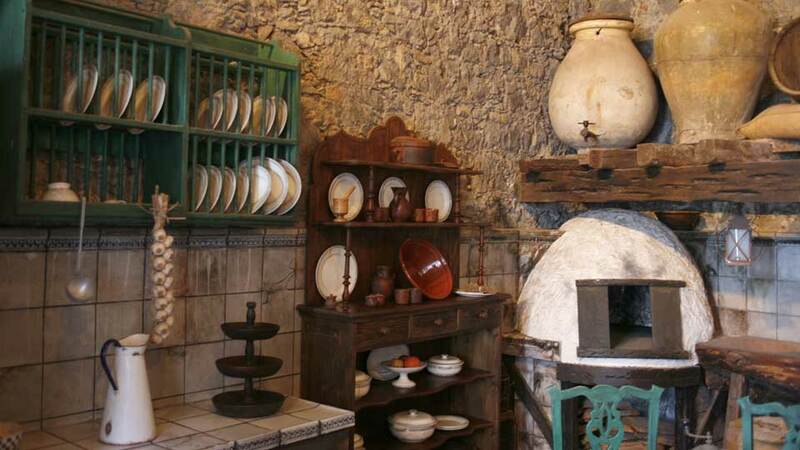 Travel back in time and discover how the traditional bourgeois families lived in this part of Tenerife. Walk the cobblestone paths and admire the most beautiful old houses and museums in town. Casa de Los Balcones is considered as the finest and most important old house in La Orotava. Its facade, with its long and majestic balconies made of iron and tea wood, stands out from the rest of the houses in the street. Stepping inside, visitors can marvel at the intricate designs of the house interior. A museum on the second floor of the house is where the life and customs of this 17th-century house are recreated. The museum showcases the details of both the simple life in the Canaries and the life of the social elite. The impressive three-storey frontage of Casa Mendez-Fonseca is an eye-catcher. From the outside, visitors can admire the beautiful balconies that are hand carved by only the finest carpenters of the 17th century. Inside the house is a museum on top of the narrow, spiral staircase. Wander down the corridors and discover the lives of industrialist Antonio Diaz Flores y Cartaya and his wife in the 1880s. Within the premises, the courtyard is a serene and leafy place to take a rest. There is also an opportunity to buy local wines as well as embroidered tablecloths, napkins and handkerchiefs. The house itself is a school for handicrafts in honor of the legacy of a master craftswoman named Eladia Machado. Located just across Casa Mendez-Fonseca is Casa del Turista. Unlike the other houses on the street, it is more of a tourist shop rather than a historic house. A wide range of souvenirs is available here, from mojos to oven gloves in a traditional Canarian dress. The real charm of the house lies past the cigars and banana liquors. At the other side of the house is a balcony that offers sweeping views overlooking the La Orotava Valley and down to Puerto de la Cruz. Visitors can also see images of the famous flower carpets, and you can buy some lovely, hand thrown pottery. Located in Calle San Franciso, the Carpet Museum can easily be accessed after a visit to the old houses. This museum houses the most beautiful carpets made out flowers and sands, the same ones used during the Feast of Corpus Christi. Learn more about this ephemeral art and the processes involved in making these fabulous carpets. The Museum of Ibero-American Crafts dates back to the 17th century. Over the years, this museum has housed important collections of Ibero-American handicrafts. These include traditional musical instruments, ceramics, fiber and more. In general, this museum aims to represent all aspects of Latin American and Spanish artisanship, from both today and past decades. Apart from historic houses, La Orotava is also home to many beautiful churches. Most of these places of worship were built as early as the Spanish conquest time. Today, some of these churches are regarded as the most treasured in the island. The Church of La Concepcion is known to tourists and locals as La Orotava’s main parish church. This remarkable Catholic church is also considered the best piece of Baroque architecture in the Canary Islands. It was declared a National Historic Artistic Monument in 1948. The façade features elaborate stonework, while the inside of the building preserves its Neo-classical style. Regarded as one of the most beautiful churches in La Orotava, this 17th-century church was once part of a monastery. Especially noteworthy is its bell tower built from black volcanic stone. The elaborate Mudejar-style carved wooden ceiling is also not to be missed. La Orotava houses gardens and theme parks that are unique to the island of Tenerife, let alone the Canary Islands. Its well-manicured gardens and exciting theme parks are perfect for nature lovers, kids, and kids at heart. Pueblo Chico is a unique miniature theme park, the only one of its kind in Tenerife. Visitors of all ages will surely enjoy the 20,000 square meters of the most famous monuments and attractions of the Canary Islands. Feel as if you’ve already visited all the seven islands just by visiting one interactive theme park in the heart of La Orotava. This botanic garden is an abode to more than 3,000 different tropical and subtropical plants from all over the world. Sitting at the center is a magnificent Drago Tree, oblivious of its grandeur. Aside from the flora, the garden also houses plenty of birds, butterflies and strategically located benches. The eclectic and endearing style of the Victoria Gardens never fails to charm its visitors. 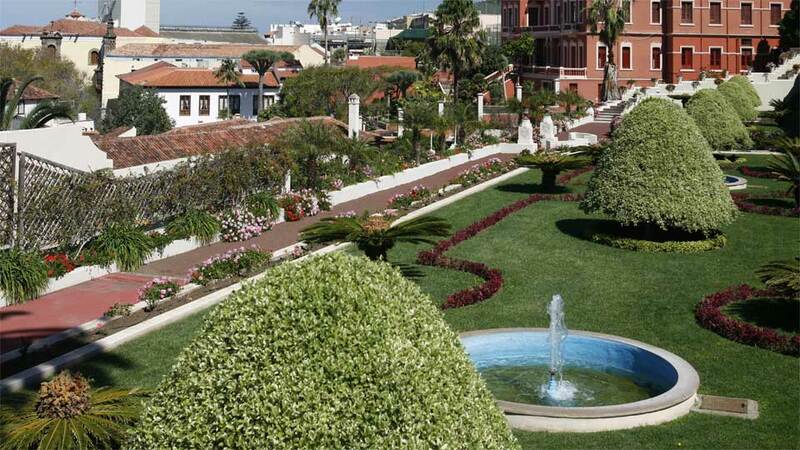 This well-maintained garden features colorful plants and flowers, a lovely fountain and a cafe. For those who are up for an easy climb, the higher part of the garden offers stunning views of the Orotava Valley down to the coast. The Feast of Corpus Christi is a religious celebration like no other. Although practiced all over the world, La Orotava’s way of carrying over the feast is unique. On the second week of May, through June, expect the town to be adorned in vibrantly-colored sand and flower carpets. Adventure-seekers will never run out of outdoor activities in La Orotava. With its ideal location near the Teide National Park, this town makes its visitors realize that Tenerife is more than just beach and sun. Situated over 2,000 meters above sea level, the view at Teide National Park is the kind that inspires great poets and painters. With the dramatic contrast of petrified lava fields against the backdrop of clear blue skies, it is easy to see why this national park is the most visited national park in Europe. The rich flora and fauna and story of historical value add up to the appeal of this UNESCO World Heritage Site. Known as the icon of Tenerife and Spain’s highest mountain, Mount Teide is a hiker’s paradise. A cable car from Teide National Park brings visitors from the foot of the volcano to a height of 3,555 meters. From there, the hike will take 40 minutes to the crater of Mount Teide. On a bright day, the four neighboring Canary Islands and the entire island of Tenerife can be seen. La Orotava is located in the fertile Orotava Valley in the northern part of Tenerife. Its ideal location makes it easily accessible by bus from almost everywhere on the island. For visitors traveling by car, the town lies just south of the TF-5 expressway, 26km from La Laguna and 35km from Santa Cruz. Guests may also use these coordinates: 28 °23’26” N 16 °31’29” W.
However, parking spots in the city center are very scarce, and day-trippers will likely find it much easier to visit the city by bus. Getting around is easier than going to the town. For guests that are reasonably fit and able to walk up and down steep streets, most sights can be easily visited by foot. La Orotava has many great staying and dining options for those who’d like to soak up some history and take a break from the usual ocean scene. Beautifully located between the sea and the mountains, the view from Hotel Rural Victoria is million dollars’ worth. This 16th century home welcomes its visitors with lovely architecture that’s been kept original over the years. This hotel is an ideal starting point for outdoor activities such as hiking, mountain biking, and paragliding. 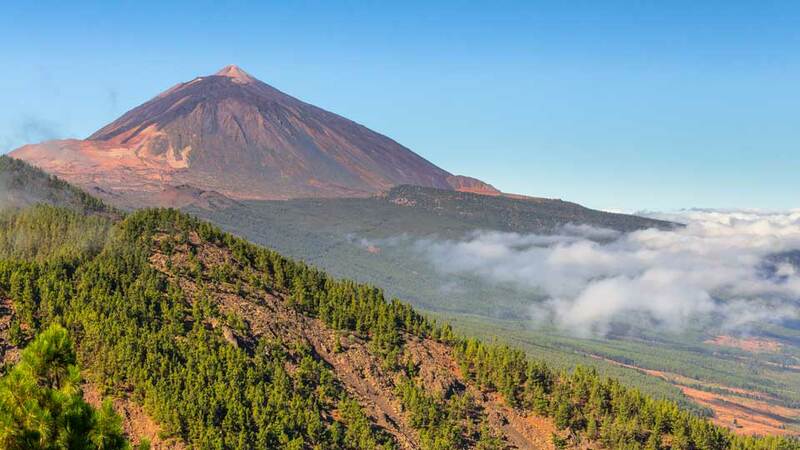 The Parador de las Canadas del Teide boasts an unbeatable location, next to Mount Teide in the stunning Teide National Park. Guests staying at this hotel wake up to fantastic views of the surrounding, lush, tropical green landscapes. The site of the hotel, as well as its two telescopes, is a hit with visitors who are interested in astronomy and stargazing. This charming hotel which boasts of beautiful original decor is set in the oldest villa in town, surrounded by mountain scenery. Hotel Rural Orotava’s cozy rooms are lovingly decorated with original furniture. Villa Finca El Drago is one of the most well-regarded villas in La Orotava. Like many establishments in town, this villa is a renovated colonial house. Most of the units are air-conditioned and complete with amenities. It also features an outdoor pool and wide terrace with lovely views of the sea. In the heart of La Orotava is Vistas al Teide y al Atlantico, an apartment complex that boasts views of Mount Teide. It features a charming balcony and well-manicured garden. Bike and car hire is available, and the area is popular for horse riding. For guests looking for first-class traditional Canarian dishes, Bar Restaurante La Duquesa is a must-try. This well-known family-run restaurant is in Plaza Patricio Garcia, an area known for its picturesque plaza. The front of the restaurant opens straight onto the cobbled street, and the interior features a charming rustic decor. Located in the courtyard of one of the oldest buildings in town, this restaurant serves delicious Canarian dishes. The tantalizing local cuisines paired with tastings of wines of the Orotava Valley is truly a gastronomic treat. The restaurant had also been recognized by the national “Plato de Oro a la Gastronomia Canaria” award. For many, La Orotava is one of the most beautiful towns on the island. Situated in the middle of the Orotava Valley, it stands out for its perfectly preserved buildings. It breathes in its cobblestone streets that noble air that has never abandoned the town since the conquest of the Island. This charismatic town has found a way to the hearts of its visitors through its rich history, heritage and culture.